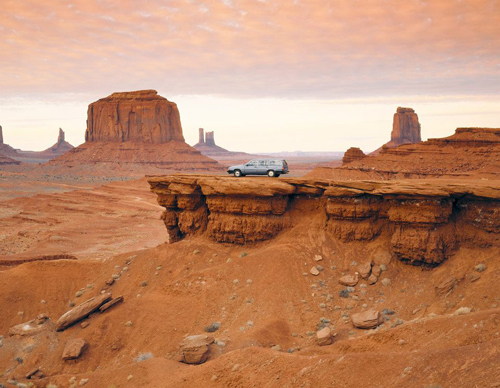 Monument Valley is a region of the Colorado Plateau characterized by a cluster of vast sandstone buttes, the largest reaching 300 m above the valley floor. 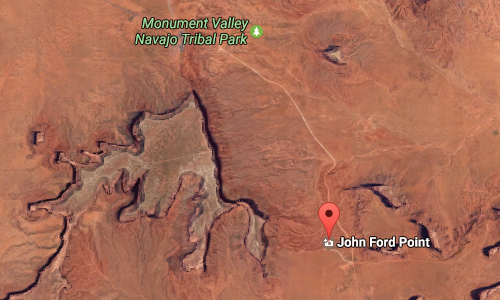 It is located on the Arizona–Utah border, near the Four Corners area. 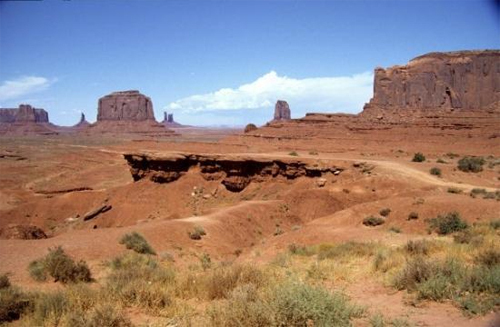 The valley lies within the range of the Navajo Nation Reservation and is accessible from U.S. Highway 163. 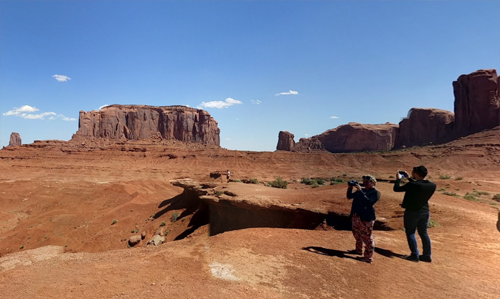 Monument Valley has been featured in many forms of media since the 1930s. 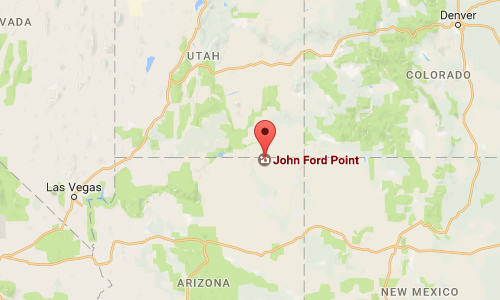 Director John Ford used the location for a number of his best-known films and thus, in the words of critic Keith Phipps, “its five square miles [13 square kilometers] have defined what decades of moviegoers think of when they imagine the American West. 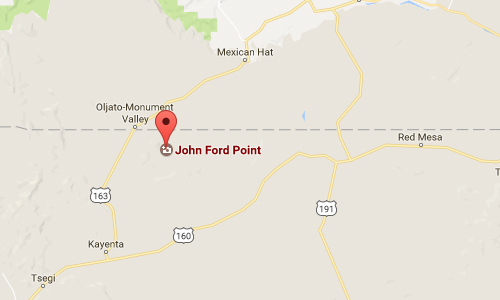 Visitors may pay an access fee and drive through the park on a 27 km dirt road (a 2-3 hour trip). 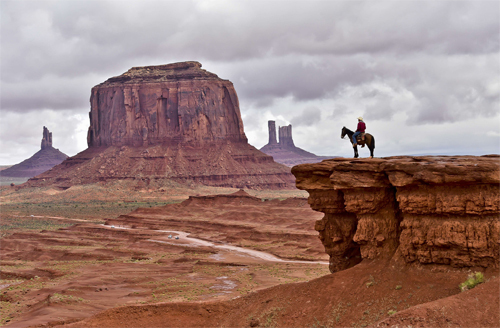 Parts of Monument Valley, such as Mystery Valley and Hunts Mesa, are accessible only by guided tour. More information at en.wikipedia.org and www.navajonationparks.org.